Forget the Campbell’s canned tomato soup and grilled cheese with a Kraft American cheese slice. 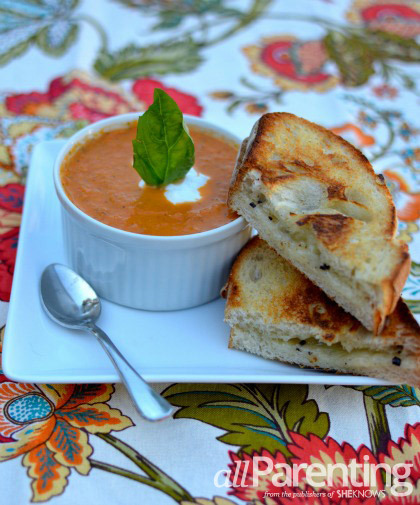 Dress up your soup and grilled cheese dinner nights with creamy, delicious tomato basil bisque and a grilled cheese loaded with Gruyere cheese and truffle butter. 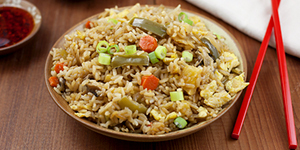 Classy, elegant and full of flavor, your taste buds will thank you. Nothing says comfort food more than a big bowl of soup and an ooey-gooey grilled cheese sandwich. These two recipes are not only super easy to make, they are both full of sophisticated flavors that bring up a notch a boring soup and grilled cheese sandwich dinner. If you can't find crème fraiche at your local store, you can substitute with cream. 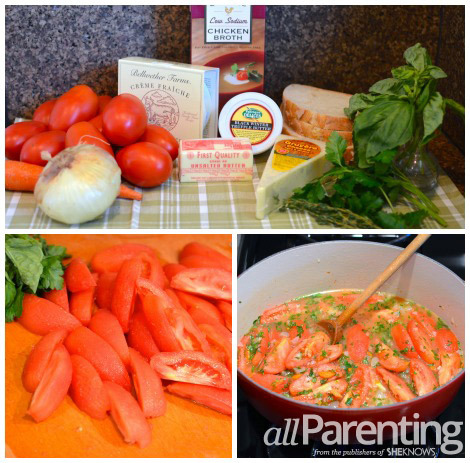 You can use canned tomatoes for this recipe, but why would you when it is so easy to prep fresh tomatoes? Learning how to peel fresh tomatoes is easy and they can be used in all different recipes including pasta sauces, pizzas or soups. In a large bowl, add cold water and ice. Cut an X at the bottom of each plum tomato. In a circular pattern, remove the top of the tomato where the stem comes out. In batches, add the tomatoes to the boiling water with a large slotted spoon. Boil for 1 minute until you notice the skins starting to come off. 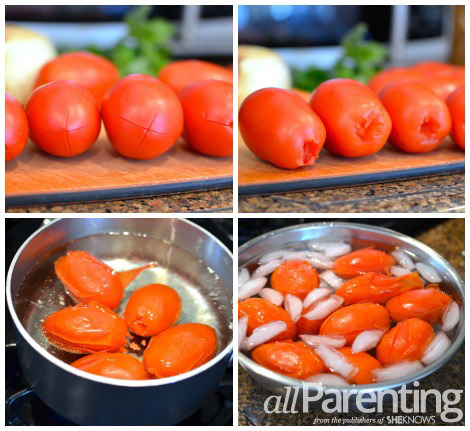 Using a slotted spoon, remove the tomatoes from the boiling water and place in large bowl with ice water to cool. Remove the tomato skins with your hands and discard. In a large pot, melt the butter. Add the onion and cook until soft. Add the tomatoes, carrot, chicken or vegetable stock, basil, parsley and thyme. Bring to a boil. Lower the heat, cover and simmer for 15-20 minutes or until the vegetables are tender. Remove from the heat. Puree the soup until smooth. I use the Cuisinart Smart Stick and puree the soup right in the pot. If you don't have one, you can transfer the soup into a blender, puree, and then add the pureed soup back to the pot. Stir in the crème fraiche. Add salt and pepper to taste. Transfer the soup to desired bowl and top with a dollop of crème fraiche and basil leaf for added presentation! Heat a panini press or skillet. Spray the outside of each slice of bread with non-stick spray or plain butter. Spread the truffle butter on the inside of both slices of bread. Pile the cheese onto one slice of the bread and top with the other slice. Cook until the cheese is melted and outside of the bread is golden and crunchy! Roast the tomatoes first for added flavor! After quartering the tomatoes, toss in a bowl with olive oil, salt and chopped garlic and roast in the oven at 425 degrees F for 25 to 30 minutes. 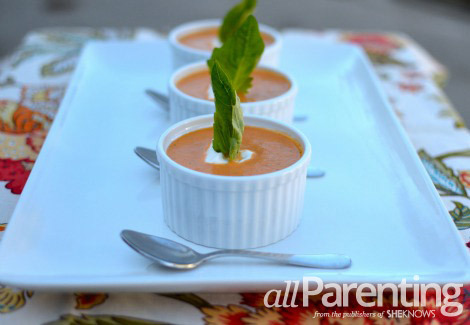 Serve the tomato basil bisque in small ramekins as a party appetizer or starter for a dinner party. Cut up the grilled cheese sandwich into bite-size pieces and use as croutons on top of the bisque. Tomato based soups are high in acid and soup made from fresh tomatoes are usually quite light in taste and texture, such as this one. 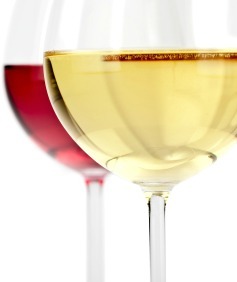 Try a Pinot Grigio from Italy, a Sauvignon Blanc or even an Albariño. For red wine lovers, a red wine with not too much tannin but that has high acid works well. Try a Barbera d' Alba or a Sangiovese.